Hi! I'm LaaLaa & I'm a water addict. Those clear, spring waters with a pH level of 7-8, you keep me full, hydrated and happy! I just love water, bottle always on hand and since I've been drinking a lot more water in the last 12- 13 years, I find I get dehydrated an awful lot quicker than before! SO...water is important, I firmly believe it's not just skincare that helps us with our bodies, it's also what we put into it, smoking, alcohol, poor food choices just our lifestyle choices are a big part of our skins condition. Being the largest organ we have, it's the one we need to care for and protect as it's needed to keep our insides protected. Now I'm not saying we can't indulge & yes I know genes can play a huge role too but balance is key but I'm just putting across my views on water & skin! The Sodastream (Source) is pretty straight forward. You get a CO2 cannister, a bottle and the machine. Not hard to put together, doesn't run off any electric, just the Carbon dioxide. You have 3 different levels indicated on a LED interface to let you know how fizzy your water will be. If you want a mild fizz, push it all the way down to the 1 water droplet and once it's illuminated, release the push down button, the same goes if you want a bit more wait until the 3 droplets have lit up and then if you want ultimate fizz - hold it for 5 and then I hold it just a little bit longer before releasing and the gas will disperse into the bottle, letting you see how fizzy it's become. 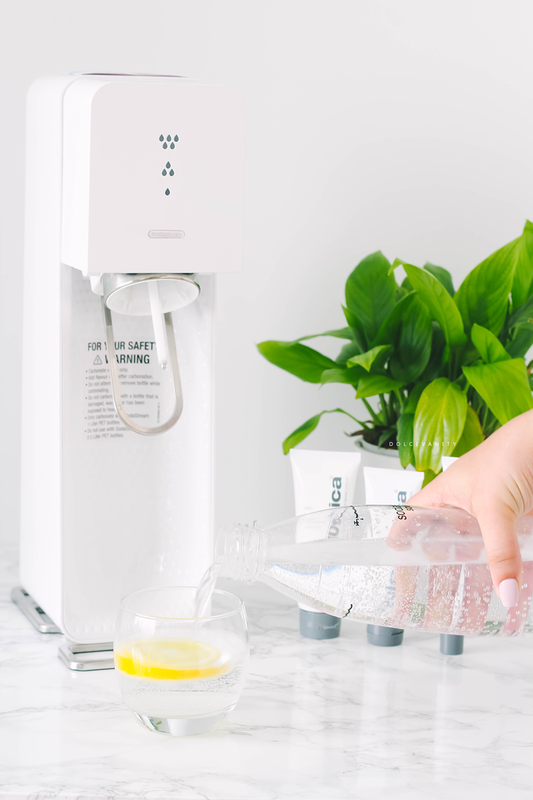 It's a quick and easy way to have sparkling water, it's a change up from still. I like to also have a slice in lemon in mine, it quenches the thirst but also gives the feeling of you can be drinking something sugary, fizzy but it's all in good health instead and instead of making you more thirsty like pop does, it hydrating. SodaStream also sell flavours you can add after the process. 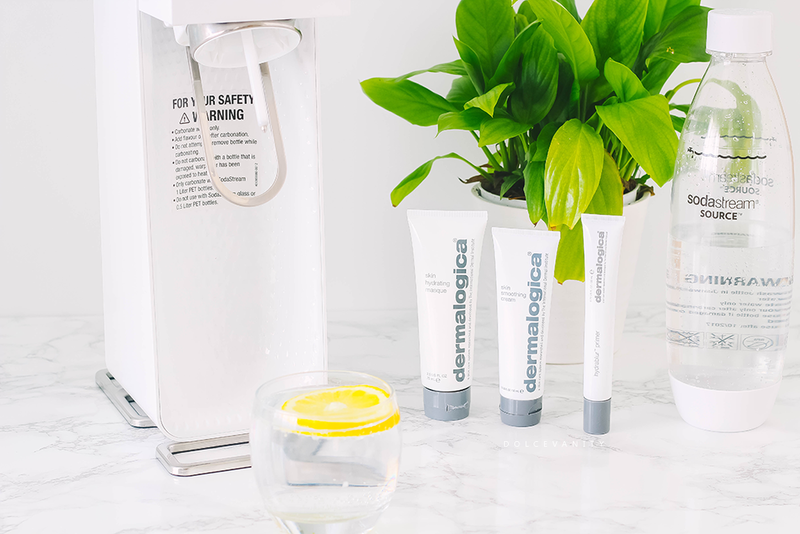 ...Brought to you by Dermalogica, if there's two dermalogica products I enjoy it's the daily microfoliant and ultra calming cleanser - very gentle to remove make-up with but here's 3 targeted at hydration that I've been testing out lately. This I had issues with and surprisingly a second Dermalogica masque too. I got a reaction, I put it on and within 5 minutes my face started to get red, I was multi-masking and I washed them both off gently using warm water and ended up with a outline of where the masque had bordered. It didn't burn or itch but it was visibly red. I took images of when the masque was on and after it was washed off. I decided not to use any of them again and proceeded to put honey on my face to soothe the redness which went within a couple of hours. 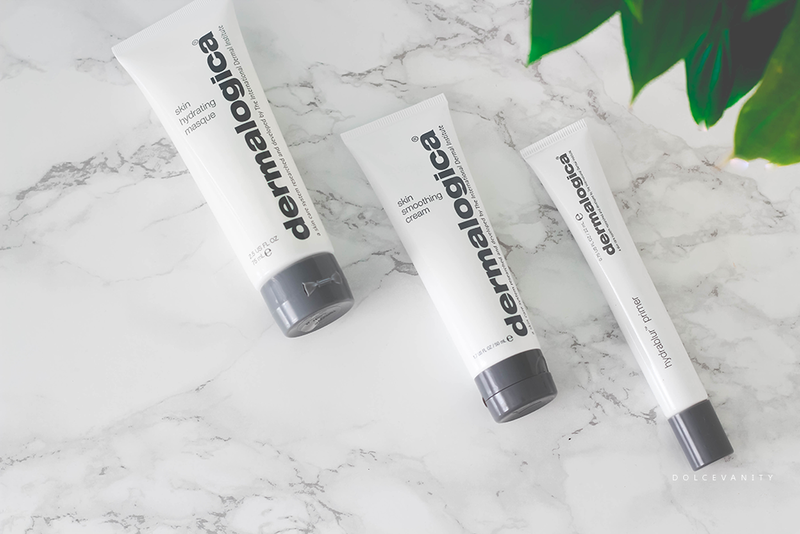 Was totally baffled by this as I don't have sensitive skin and I normally get on with Dermalogica products but the masque range so far seems to be no beuno, I'm sceptical to see if it'll happen again as I don't want to end up with any type of reaction. Unfortunate. I've been thoroughly enjoying this cream, it's lightweight but hydrating & moisturising. The Mallow, Cucumber and Arnica help to soothe and hydrate while the Lecithin and Aloe Gel give a deep moisturising experience. I've been using this daily in the morning and I find that it's becoming an essential product, with the weather so up & down my skin doesn't know what it wants to do, it's pretty oily at the moment but I find this helps the oil, not to forget it also has antioxidant such as Grape Seed Extract & vitamins C and E they help protect the skin from those negative environmental issues. It has a pH level of 6-7 so it's in the area of pure water / saliva! 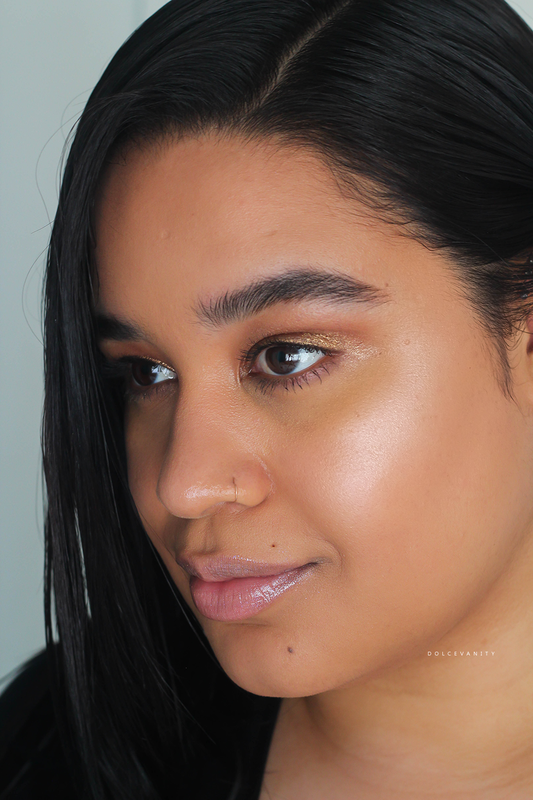 I've been using this primer frequently as my base. It gives a smooth base, the face feels silky. I've applied this with fingers, a brush & even a damp sponge. I'm typical T-zone oily and my nose has visible pores, this helps to blur the nose pores and it works ok for the oil. Foundation seems to work well enough with the primer, it comes out a little gritty and it's got a white/grey tone to the primer itself. I've not experienced any ash look & the grit dissolves as the primer is applied. Lesson: Keep skin hydrated, your body & skin will thank you & reach for that natural glow. 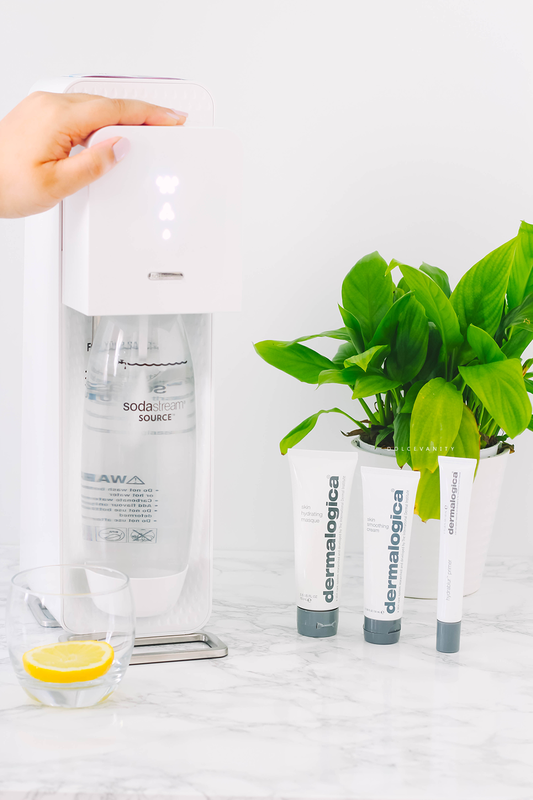 How do you keep your skin hydrated? I get such dry skin, although I did notice that after 3 weeks in the Greek sun it improved SO much. Oh, lovely. I could image all that Vitamin D and the warmth could of helped! onto the Skin Hydrating Masque. So I'll be honest - I've never really tried a hydrating mask before, as the masks I usually opt for are all about getting rid of oil and unclogging my pores, but I was excited to try this as my skin does get dry in certain places, especially when the weather warms up. This mask is a total dream - it leaves my skin feeling SO soft and smooth, utterly hydrated and basically amazing. It definitely doesn't feel greasy or oily on the skin, but smells and feels ultra fresh. I tend to use this once a week when my skin is feeling a bit tight or needs a bit of a hydrating boost. Thank you for letting us know about facts.Keep writing.